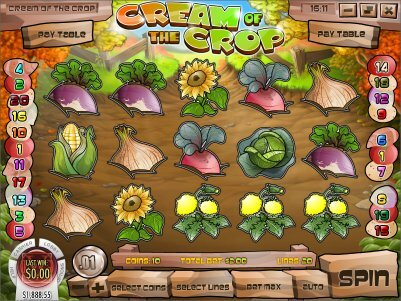 Overview: Vegetables and cash are popping out of the ground in this garden-themed slot, Cream Of The Crop! 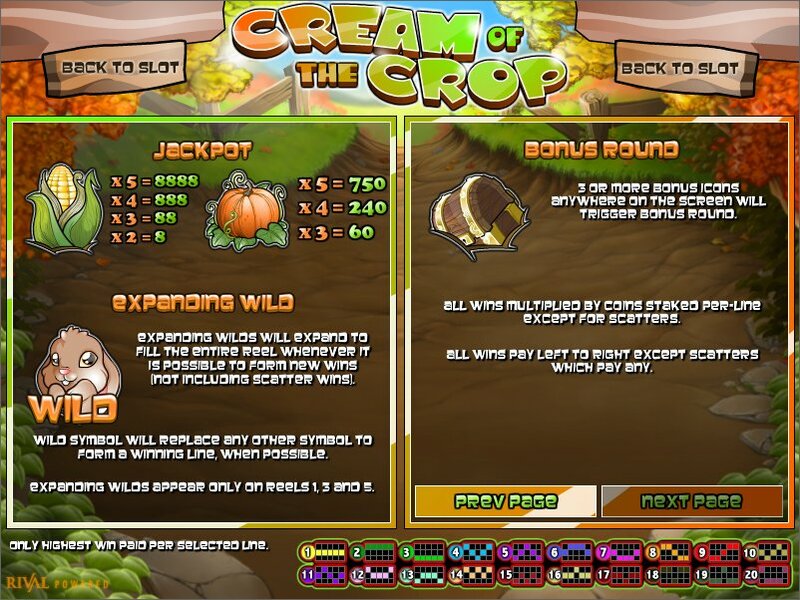 Tend to your crop, pull the weeds, and search for the treasure chest to activate the bonus round. Your garden includes onions, carrots, radishes, turnips, corn, cabbage, peppers, and pumpkins. The rabbit is wild! During the bonus round, click on the wooden signs to reveal your prize! 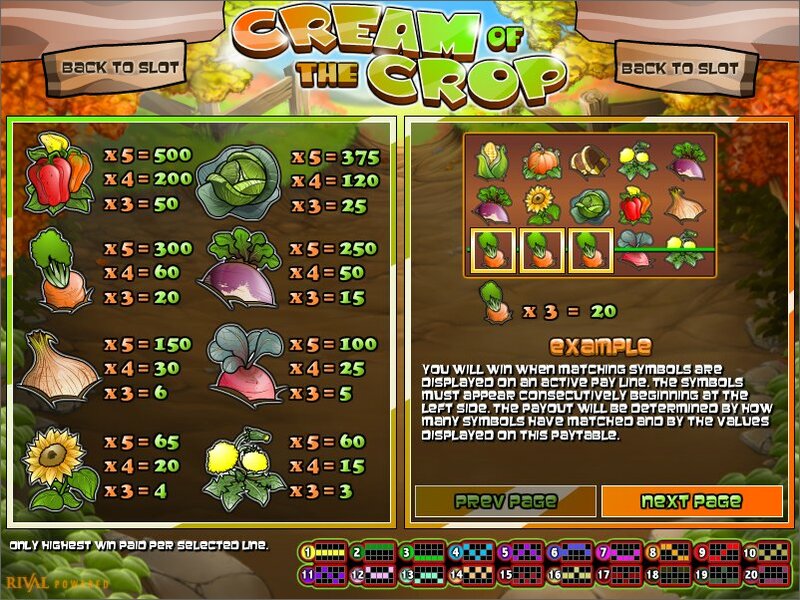 Vegetables earn free spins and treasure chests earn coins. Finding the weed ends the bonus round. Similar Slots: If you like Cream of the Crop, you might like these other Rival video slot machines: Astral Luck, Diggin Deep, Flying Colors, Goldenman, Leonardo's Loot, Love and Money.